In Premonition of Civil War depicted is a grimacing dismembered figure symbolic of the Spanish state in civil war, alternately grasping upward at itself and holding itself down underfoot, a relationship morbidly prescient of Escher's later Drawing Hands (1948). The painting resides at the Philadelphia Museum of Art. The Premonition of Civil War, which was painted in 1936, is used to show the struggle of war that can sometimes be both self-fulfilling and self-mutilating at the same time. 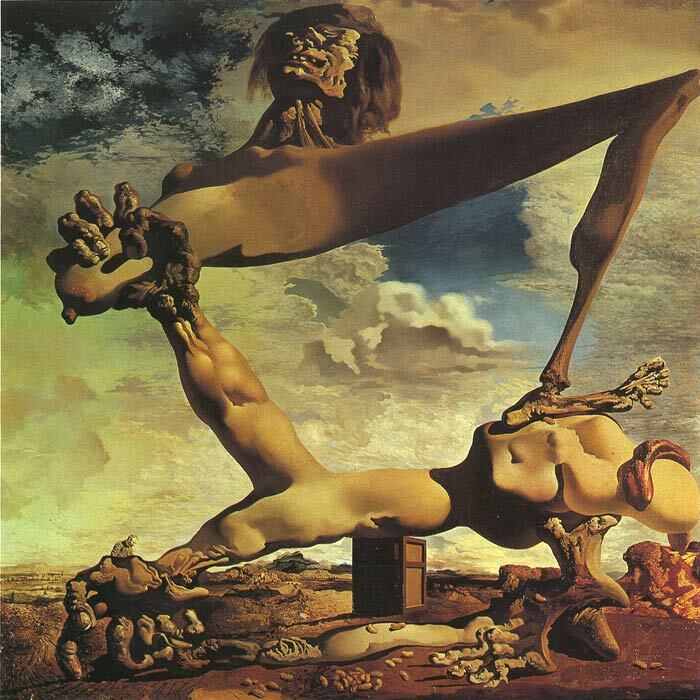 Dali was openly against war, and used this painting to show it. SPECIAL NOTE : The painter will make the reproduction as close to the original oil painting as possible. If you want your painting to alter from this likeness, please email us and " Premonition of Civil War, 1936 " will be reproduced according to your special requirements.